Every year we take up pledges and we may or may not be able to follow or fulfill them. 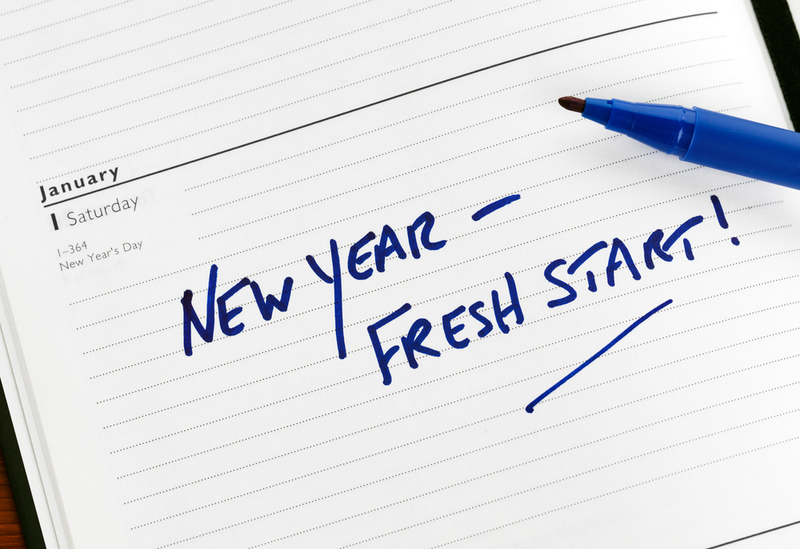 The resolutions we take, we might not be giving it a second thought and commit ourselves into the bond forcefully. We tie ourselves so tight to show off to people and closed circles about the loyalty towards our commitment to the New Year resolution. I met people who were taking group pledges on weight reduction, gymming, and what not. The resolution need not to be necessarily a materialistic one. The decision we make should not only bring a change in our physical or psychological being but also bring a change in our souls within. Many get confused and scratching their heads as what to pledge this year (as a ritual at least); so we from Ahana decided to help the people around by sharing the resolutions we took and suggest people to implement it. We often regret with of the opportunities that we have missed the last year. Well This New Year is an unwritten book, a year fulfilled again with opportunities, possibilities and chances. And of course you are one among the few who just got lucky. So let’s choose our actions and words wisely and fill up the pages that are worth reading by the end of the year. Fall in love with yourself! We are so busy trying to find happiness and love from others that we often tend to forget that true love and happiness needs to start from within. This New Year let’s take time to learn to accept our flaws and insecurities. Appreciate your strengths and learn from your mistakes. Try new things, spend time for yourself, take pride in yourself and take good care of yourself. This New Year lets work on being in love with the person in the mirror who has been through so much and is still standing. “Being better than Yesterday” is the key to lead successful & prosperous life. Let’s be better than yesterday in all these aspects. Knowledge of our own profession- we preach what we do and vice versa. It is very important to know where we stand and what we do. We have to have an understanding of our own profession to stand unique from others. Learning new things – if my forte is just dancing, it doesn’t mean I should not learn to sing or play a violin. Being open to learn new things makes us to know and understand our preferences better. This way we know, what better suits us and maybe we develop a new interest in the journey. valuing social norms- norms are formed by traditions and they are formed by our culture we are associated with. Respecting our moral values and social norms is what makes us who we are, as an individual and gives us an identity. Caring Mother Earth – it’s the place where we born, raised, living and die. In that case, it becomes our duty to take care of our Mother Earth, protect and nurture it. It’s the place where our upcoming generation is going to live after us and it’s our duty to make this place safer for them. Forgiving others & nourishing relationship – Acceptance is the significant part and same way forgiving is also important for our peace of mind. The more we forgive, the more we retain our happiness. Nourishing the relationship we are in with love and care is certainly a needed thing to survive in this universe. We gain nothing by punishing the people which in turn will destroy our happiness. Instead of finding perfectionism in our loved ones, let’s accept their imperfections and understand the differences. So in the end, it’s US who are affected or be contended with what we have. Health is wealth goes the adage in English. We all know how important health is for a person. People always take the “word” health as physical health; wherein we do not focus on the importance of mental health. Greater numbers of people are suffering from some form of mental health problems without their knowledge. The word “stress” which we often use and hear from the community, invariably applies to all situations. Stress is the major cause for almost all the physical and psychological problems. Majority of us really don’t know the way to manage our stress. If it’s not managed in a right way, stress becomes distress and that’ll end up with disease. Most of us think that stress comes from outside sources like work pressure, family conflicts, marital problem, a pressure at educational institute and traffic etc. It may astound you that the initiator of stress is actually inside us. Addressing our internal stressors is a great starting point for reducing our overall stress. Let’s try leading a stress-free life which enhances our physical as well as mental health. I have always wondered as why humans have become so selfish with regard to people, things and stuffs. As someone said, “I have a car, but I still want a bigger one”. I mean why are we not getting enough with what we have and possess. These materialistic things make us greedier and at the end of the day we are left with no peace in the world. I have people near me whose thoughts are like “I am happy, I have a good husband, 2 lovely kids and my parents near me and I don’t have to bother about others”. Where are we standing, where are we heading? This world is like a puzzle to me. Where are the times when people were a helping hand to each other? Why not we turn again that way? And people say they have everything except peace of mind. How would they attain peace of mind by being this way? Helping people in distress, makes us feel better and bring happiness within us. The ultimate happiness lies in seeing smile on others’ faces knowing we are the reason behind it. I help one, they help two and those will help three and the chain continues. This way we can spread happiness in the world and attain peace. This new year, let’s focus on attaining peace in the world! Let’s learn to be more considerate. We all have a million things bothering us at the moment but when asked if we are okay by someone we smile and cover it up with a simple “everything’s okay”. It’s important to keep in mind that just like you, the next person has their own issues and probably does the same thing you do when asked what’s wrong. Even if we aren’t aware of what might be going on, we can always be kind to others – even if we don’t understand why they behave a certain way. We have shared our resolutions and thoughts. We hope and believe that you must also have thought about your resolution by now. WE WISH EVERYONE A VERY HAPPY AND JOYOUS NEW YEAR! !